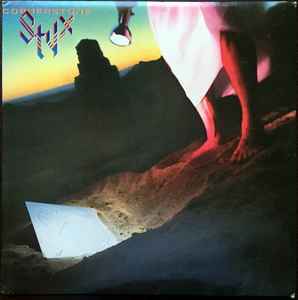 The ninth studio album from Styx and one of their popular recordings. It was also one of the band's four consecutive albums certified multi-platinum by the RIAA. Good album, by a great band. Cant go wrong with this album. I have this version with matrices AMK-63711-A2 tone and AMLK-63711-B2 (all etched). Label Side A: Produced by Styx Stygian Songs (1-5) and Label Side B: Produced by Styx Rondor Music (London) Ltd (1-4). I have 2 of these, both 1979 US versions, SP-3711. One has a shiny inner jacket, and one is matte. I can't locate the separate releases if these aren't grouped together.